Yoo In Na and Ji Hyun Woo starred together in a drama Queen In Hyun's Man (tvN, 2012) as "time-transcending" lovers.This thread is dedicated to Ji Hyun Woo and Yoo In Na as a couple. Their characters Kim Boong Do and Choi Hee Jin are also know as InGwa couple (Cause & Effect couple). 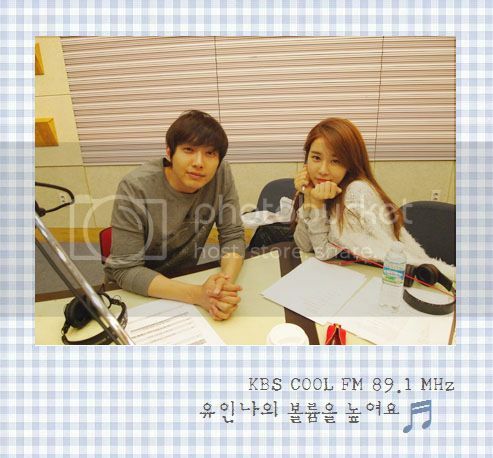 On the 7th of June 2012 Ji Hyun Woo publicly confessed he loved Yoo In Na.On the 17th of June 2012 Yoo In Na and Ji Hyun Woo spotted dating in the park!On the 18th of June 2012 Yoo In Na confessed she liked Ji Hyun Woo at her radio show. Warmest welcome to all InHyun shippers! Enjoy your stay and see you around here! TriviaEducation: Sung Gyoon Gwan University Department of Performing ArtsLead guitarist of the Kpop group "The Nuts"
sankyuu for make this thread hope this OTP will have chance to get same project with more more chem on screen or off screen. 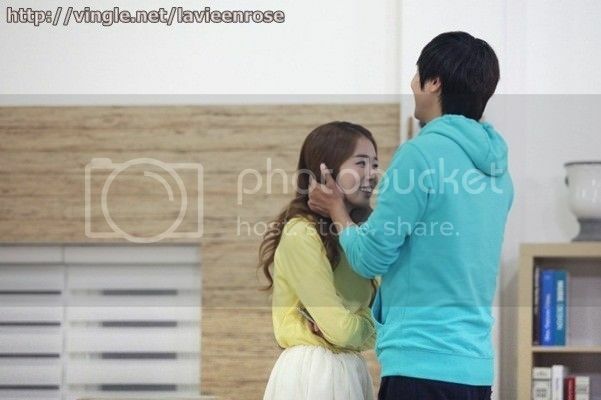 very hope their become lover in real life ^^. Let's share pics and vids and let's spazzzzzz ) So what was the moment that make you jumped on real shipping? Hello fellow shippers! This makes me happy. i didn't notice this then but one qhim liker in fb (i posted this few hours back) and from qhim thread raised the highlighted one. we know that jihyunwoo is JHW official site..so..
Hi! My name is Niki and i'm an oh-geul-holic. i havent been sober since QIHM ep2. i have a tendency of looking for sparks and the most minute of skinship between Ji Hyun Woo and Yoo Inna. 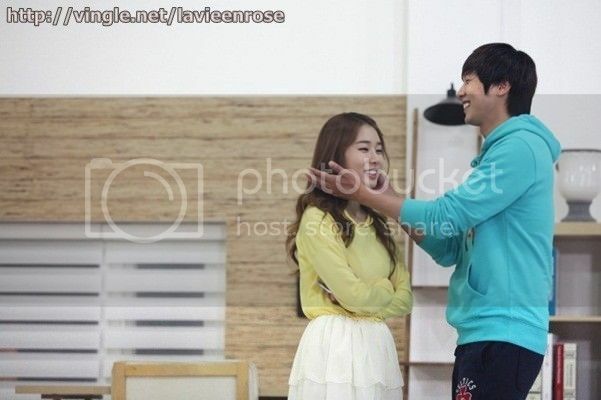 My utmost wish is to see Yoo Inna's name be registered in Ji Hyun Woo's family registry. WOOT! Thanks for opening this thread, @aisling! ^ ^ Yes, lets post pics. FULL CREDIT goes to vingle.net/lavieenrose for the first 2 pics, the others I found online or I made myself. I started shipping these two in EP 3 when JHW/BD is locked in the shower but his whole face lit up when YIN/HJ walked in the room. There was an adorable sparkle in JHW's eyes when he saw her. I suddenly couldn't figure out if that was REEL or REAL! So happy to see a thread for our OTP. :x I started shipping them since ep 3, the seatbelt scene. By the time they had their earplug kiss, I'm a goner already, squealing like a crazy fangirl and asking everyone I know to watch the drama just so I can spazz this couple with them. THANK YOU @aisling!! Mwah mwah mwah ! Thank you for putting in all the input and the pics...you DO have loads of goodies you are such an InHyun santarina Ok ok I will now stop gushing before it starts getting creepy. Contrary to my spazzing self here., I am normally very sane and I have a very sane life. I do however love romance . I love dramas too and have seen one or 2 (not that many) , Very rarely do the couples make you think- oh I wish they would date. ITs chemistry that makes you want to ship them...and chemistry cannot be manufactured. I held out for a guy I had strong chemistry with and when I found it, I can tell you- you cannot make it up, and you cannot hide it. You'll find any excuse to look at each other, talk to each other, touch each other, smile at each other..and when you smile the stars are in your eyes..and you cant stop talking to each other ..and you have so MUCH FUN together.And every one will notice! That was me and that was what I saw between Yin and her Yang- Ji Hyun Woo. HOw, you say? Well, its the eyes - during the drama , their eyes were so warm , he looked at her like he was going to eat her up, and she seemed to do so too. They must like each other , was what I immediately thought, after the first episode. And true enough, they know each other. And did get on well and probably did like each other (as friends then ) . And then I saw the BTS and the press con- yeah, he's doing the "glancing over - interrupting her- touching her" gestures that to me screams " I am interested in youuuuuu!! - its not love (yet) but he certainly is attracted and she is not averse to his attention. Yeah, I happen to think that he is the more bold of the 2 - after all he IS the playa...and she , while not NOT interested, is slightly wary of him...bECAUSE he's a player. heheh thats my conjecture entirely I have no idea whether its true or not and I havent taken any course in body language or what. I think this couple stands a good chance of becoming real..if he only keeps at it and convince her that he is seriously interested...because their attraction to each other cannot be disguised. Look at the picture at the premier..its clearly a BTS but they are holding hands SO TIGHTLY.They dont need to , surely! If its acting, they'd drop the hands ...so I think they like to touch and he likes to touch her. and she likes to touch him- (heck I'dlike to touch him!) That tiptoe kiss was another one. the camera panned out, they COULD just pretend to be kissing but instead, they are ACTUALLY kissing.and passionately too. Like they were forgetting themselves, and the cameramen politely went away. Ive only shipped 3 other couples- one is definitely going out and finally coming clean after the twilight films ...and the other the jury is out on that one although the rumours persist even though their japanese drama ended like yonks ago, and the most recent was put on KIV since the guy went into military service (that one the flirting went off the charts too!) -mainly the couples are so right for each other, they can talk till the cows come home and they make each other laugh, and they like each other...thats chemistry to me. Seems like YIN and JHW fulfill the criteria.... sooo here's hoping! !